When I started my Masters in Intercultural Communications, I learnt that I would also be able to use my journalistic skills in the intercultural field. At that time, I wasn’t sure how I would do this, but as the course progressed and I started qualitative interviews for my master thesis, I found the answer. The Portuguese-speaking community in Switzerland needed a channel that could deliver information about migration issues, such as homesickness, different cultural habits and style of communication, intercultural sensitivity and so on. Although this community is quite big in Switzerland (there are approximately 300,000 people, including both Portuguese and Brazilians) – there was a lack of information on how migration can change people’s lives. In addition, the community faces integration challenges, particularly related to learning German. 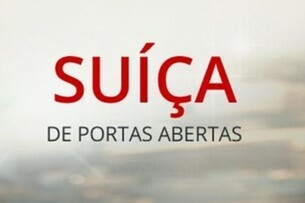 I approached swissinfo.ch, a news and information platform produced by the Swiss Broadcasting Corporation in ten languages, and proposed the creation of a column called “Switzerland with Open Doors” (in Portuguese “Suíça de Portas Abertas”). Twice a month, this blog publishes an article about integration and adaptation in Switzerland. First published in November last year, the column has met with great success. According to the editor, Alexander Thoele, the column has a large readership, and one of the articles about the “return syndrome,” called “The dream of returning to Brazil can become a nightmare” had the highest-ever number of readers of the homepage, with 19,000 visitors. Since March, the articles have been broadcast by Lora Radio, an alternative radio station in Zurich, with programs tailored by and for migrants. Liliana Tinoco Bäckert is a Brazilian native from Rio d Janeiro who has been living in Switzerland since 2005. She undertook the Masters in Intercultural Communication at the University of Lugano to deal with her own cultural shock, fell in love with the topic and decided to help other Brazilians who live in Switzerland. Liliana is also an independent intercultural trainer and runs her own company, AdaptE-SE.